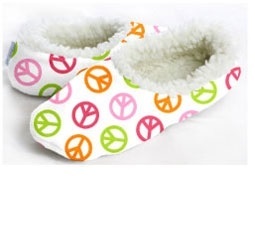 These super soft, fleece slippers by Snoozies! are the perfect gift for young and old alike! Lined with exclusive soft pom-pom sherpa, each pair of Snoozies! have non-skid soles and are fully machine washable. These are meant to fit snug like a sock. Please order by shoe size.